For some people, Motorola’s Project Aria, in partnership with Phonebloks, is going to be a game changer, while others are kind of like, meh. I think that the end result of this phone will actually be a game changer, but not everyone will switch to this format of phone. Many people will continue to buy phones that have been designed for the full experience. However, I do think that theses phone will significantly impact in how many people think of phones. These phones represent a disruptive shift for the phone industry. Why are these disruptive when I said that Kayak isn’t disruptive? Well, in the book Innovator’s Dilemma Dr. Christensen argues that when new industries are formed the leaders are companies that are able to combine all the pieces that are needed for producing that good under one roof. In the case of airline travel all the booking used to take place through the airlines, eventually this was outsourced to Travel Agents which were something of an extension of the airlines. The first disruption came when other groups were able to use the internet to book reservations. The act of reserving a seat on a plane became decoupled with the actual flight and service. So, in the case of mobile phones, specifically smart phones of course, the most successful firms were the ones that were able to combine everything you needed for the phone to be useful. Blackberry did this, but Apple was clearly the best at it. The original iPhone was basically an iPod with a cell antenna in it. This was an amazing thing though. Apple had disrupted the music distribution industry with iTunes and was able to leverage that innovation into smart phones. This of course was a disruption in that industry because everyone was focusing on productivity first, Apple approached it from a content perspective. Content always beats out productivity. In a very real sense, the market changed over night. Apple owns everything in their cell phone, the OS, the design of the chip, the distribution network for apps, music, movies, etc. This is a very classic example of fully integrating as much of the supply chain as possible. This is exactly how computers started. Large companies like DEC and IBM built everything for a computer. The boards, the operating system, the software, and the interfaces. These companies were large and structured in a way to make money from extremely expensive mainframes which had a very small market. Between Xerox and IBM the personal computer as we know it today was invented. Our PCs today are modular, which means that every portion of the computer can be built and designed by different firms. This allows a lot more innovation across the platform because it doesn’t rely on one firm to create everything. It allows specialization and diversification for an assembly company. It was because of this modular nature that Intel, Dell, and Microsoft became successful. They were able to leverage the platform that IBM delivered with the PC and grow and develop new capabilities. This modularity also allowed just about anyone that wanted to the capability to built their own custom made computer. This has become less so with laptops – you can’t buy an empty laptop but you can customize it from a company. This just isn’t the case with smart phones – which are essentially mini computers. The new tablets coming out are as powerful as computers from the early 2000s. The modularity of PCs offer an additional benefit, you have the ability to easily fix them. If your processor dies or your graphics card does you can buy another and simply pop it in. Even if the motherboard goes, you can still replace that and plug all your existing components into the board. The case is the only thing you don’t have to change if you don’t want to. With phones the screen is like the case. You don’t really need to upgrade your screen every time. Especially with how hard the screens are unless you drop the phone and crack the screen you don’t need to replace it. Furthermore, we’re getting to the point we are with TVs that the resolution of the screen isn’t going to make much of a difference. Yes, we’re in a DPI battle between Amazon, Google, and Apple but we’re getting close to the point where we can’t tell the difference. Which means that the screen is a perfect thing to act as the phone’s “Case” for modularity purposes. The modularity will help immensely with repariability, which current scores pretty low, if you’re interested in those scores check out iFixit. 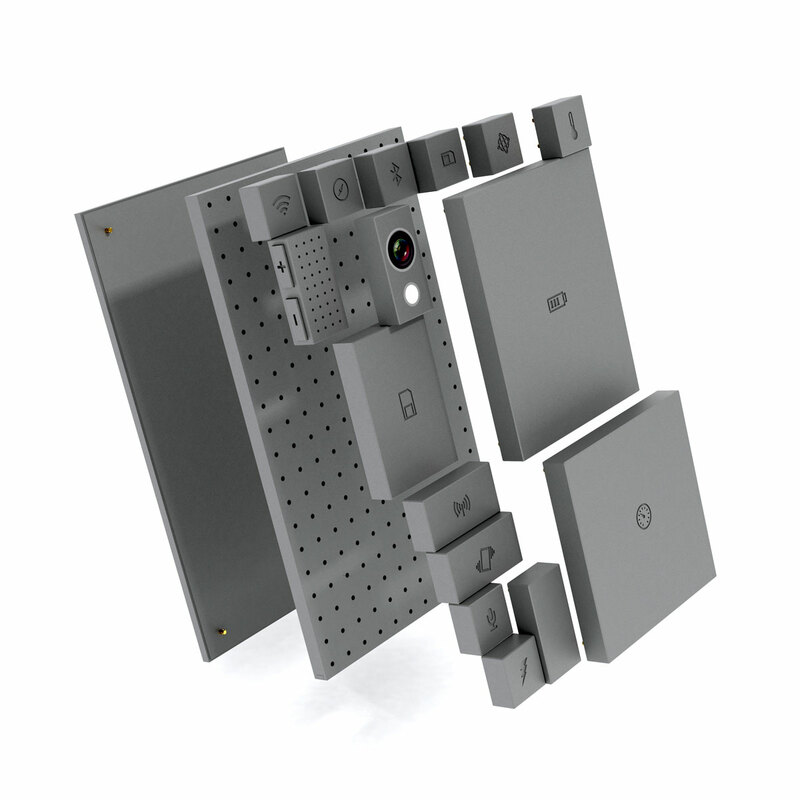 So, how does Phonebloks come into all of this? They are essentially pulling an IBM by creating a system that can be modular. Google’s Android will be the operating system of choice, but it’s likely that even this could be flexible in the manner that PCs are today. It’s unlikely that iOS will be on these phones legally, although I’m certain someone will figure out a way to install the operating system on these phones. This will hurt Apple in the long run as people will not be using their operating system will leave their ecosystem and prevent them from making as large of revenues in the future. People will still buy their products, but there will be much less sales. Apple could be repeating history if they don’t offer to sell their operating system for phones like this. Why do I think that these phones are going to be winners? Well, it will increase the longevity of the phone. With phones costing upwards of $600 for the top of the line phone anything that can increase the length of time that a person is using one is a good thing. Secondly, as Android and other OSes evolve they require more capabilities from the phone which means older phones aren’t able to use the latest operating system. Buying a much cheaper CPU to install would be a lot better for end customers. This will also disrupt the supply chain as companies like Qualcomm aren’t used to selling directly to customers. Finally, as long as the design is good, then it won’t seem as much of a burden to have the same phone year in and year out. It will require people to think differently, but that’s something that I believe Motorola and PhoneBloks can over come. These phones are going to change the industry and possibly enable other companies to develops phones in the same way. Hopefully they pick one standard interface like the Motherboard that all companies conform to. This will allow companies like Google and Microsoft to go back to innovating on operating systems and to get out of the phone building business. This entry was posted in Business, Economics, Innovation, Technology and tagged Android, Apple, cell phones, Computers, disruption, Google, Innovation, iOS, mobile phones, Motorola, PC, PhoneBloks, Project Ara, technology. Bookmark the permalink. I try to cite as much of my sources as possible using links. Check them out if you’re interested in more information.